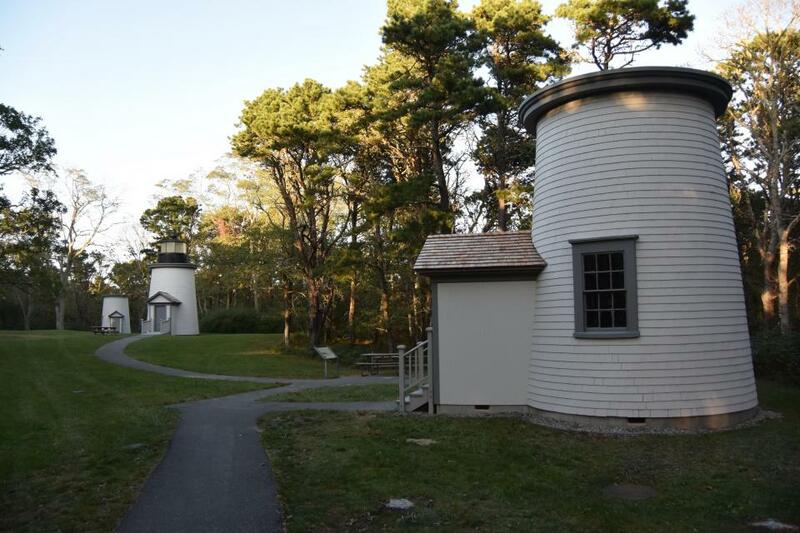 These three lighthouses were part of the Nauset Beach Light Station, which originally stood a quarter mile away, overlooking the Atlantic Ocean. Nicknamed the Three Sisters, this trio of lights provided a landmark for sailors making their way along the Outer Cape from 1838 to 1911. Changing lighthouse technology and the steady erosion of the Nauset cliffs eventually forced the removal of the lights from their post. They were reunited here in 1989- a rare surviving example of a triple lighthouse configuration. These lights, which replaced original brick towers, were part of a network along the treacherous and busy Cape Cod coast. Ships approaching the southern Cape saw the stationary beams of the twin Chatham Lighthouses. 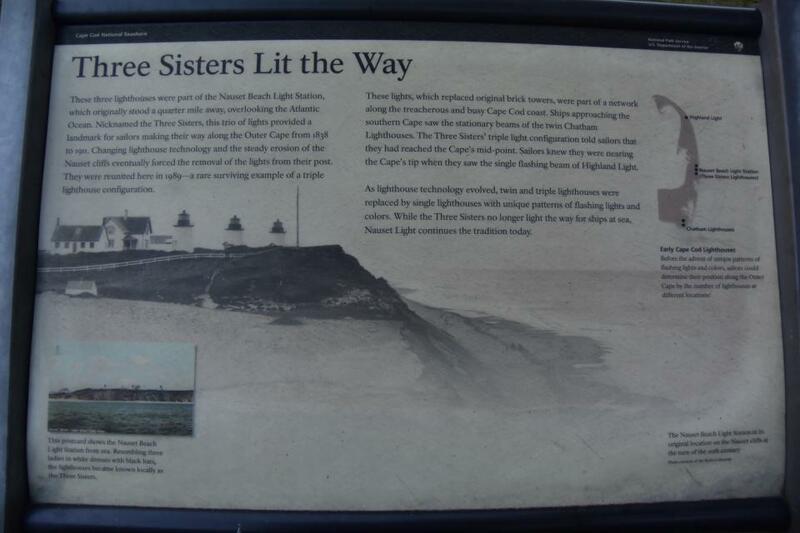 The Three Sisters' triple light configuration told sailors that they had reached the Cape's mid-point. Sailors knew they were nearing the Cape's tip when the saw the single flashing beam of Highland Light. As lighthouse technology evolved, twin and triple lighthouses were replaced by single lighthouses with unique patterns of flashing lights and colors. While the Three Sisters no longer light the way for ships at sea, Nauset Light continues the tradition today. This marker can also be identified by its HM code. You can use the hashtag #HM172X in tweets, and any other place where you might refer to this marker, including when searching on this site.